Actiu is the product of a dream. A company that has lasted half a century, has employed 235 workers and 150 indirectly and is amongst the leading office furniture businesses in Europe. A company born from the dream of one man, Vicente Berbegal, who as a young man knew to anticipate the needs of the market with avant-guarde and technological solutions that were soon present in the majority of our homes. Now, almost 50 years on, the firm from Castalla is a candidate for "European Business of the Year" in the European Business Awards. After passing the first phase of these awards and receiving the panel's approval, the decision now falls on popular vote to decide the best business candidate for each country. Here you have ten reasons why Actiu deserves this distinction. You can vote for Actiu by clicking here. 1. Because thanks to the vision of Vicent Berbegal, his effort and dedication has changed a small furniture workshop into a leading office furniture business that operates in eighty five countries in over five continents. 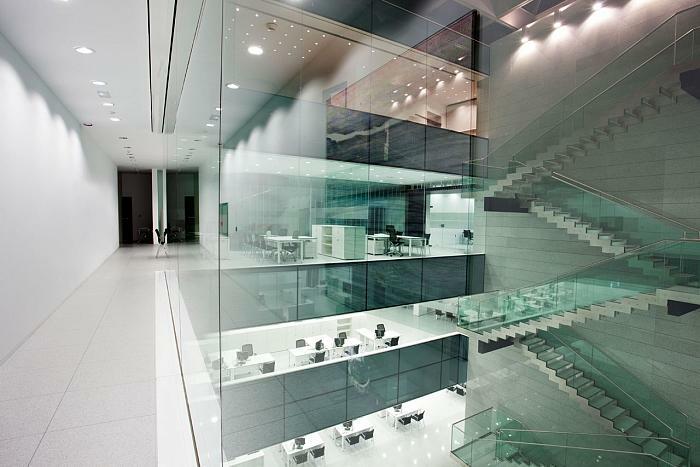 Headquarters of the Alicante Chamber of Commerce, furnished by Actiu. 2. For Actiu's commitment to the community and environment, promoting the industrial conversion of la Hoya de Castalla through local production and supporting professionals in the area. 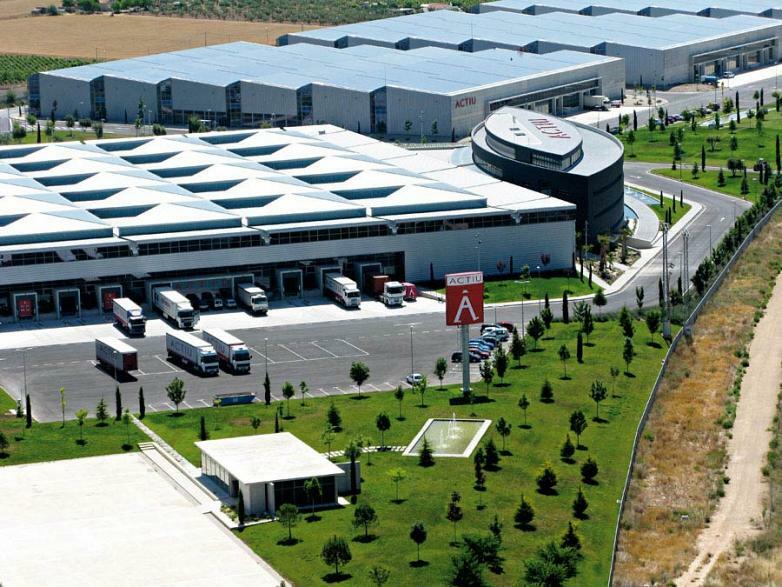 In difficult years where many other businesses searched for the benefits of delocalising production in Asian countries, Actiu supported their country and invested new facilities in the Actiu Technology Park, which allowed the centralisation of production and the employment of 185 external collaborators. This led the way in promoting not only employment, but also training in new trades and awareness to support sustainability, energy efficiency, design and architecture, reflected in their business Park. 3. For their evolution and continuous improvements, being a company capable of moving forward with the market needs and always supporting new and improved products and services. First came the design of a piece of furniture to store the television that was in the living room of thousands of Spanish homes in the 70s. 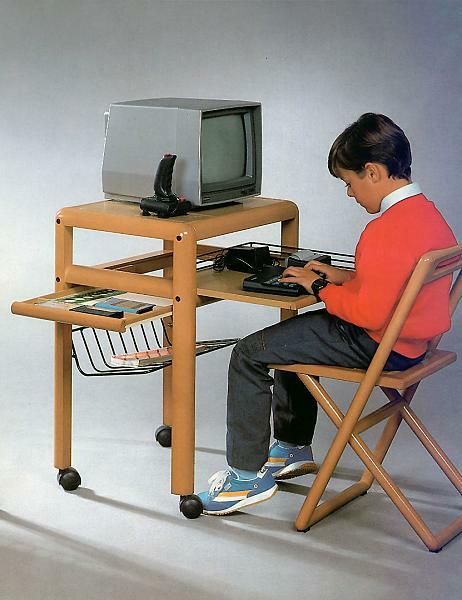 A few years later, the personal computer appeared and a need for an individual desk designed for the computer and its accessories (keyboard, screen, hard drive, cables etc.). A desk which suited both the domestic and working (office) context. From this moment onwards, the moment to design and produce office furniture began, becoming one of Spain's pioneering businesses and an international benchmark. One of the first desks made specifically for the use of personal computers of this period. 4. For putting the welfare of people at the heart of it all, the happiness of both the Actiu family and of the final users of their creations. People have always been one of the most cherished non-capital goods of the firm. 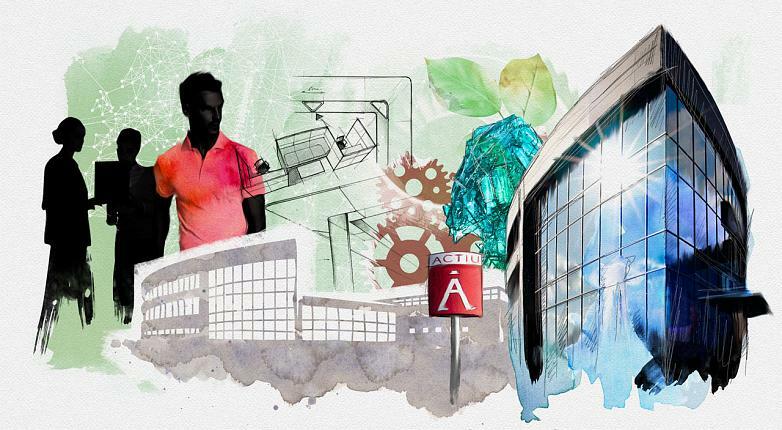 For them Actiu has the Actiu Technology Park, an industrial complex with a commitment to welfare, sustainability and responsible construction for the environment. Now the new commitment of the company is called “Cool Working” and involves an internal reflection to design work environments with a clear objective of improving the well-being of the people who live and work in them, including promoting efficiency and productivity of the organisations. 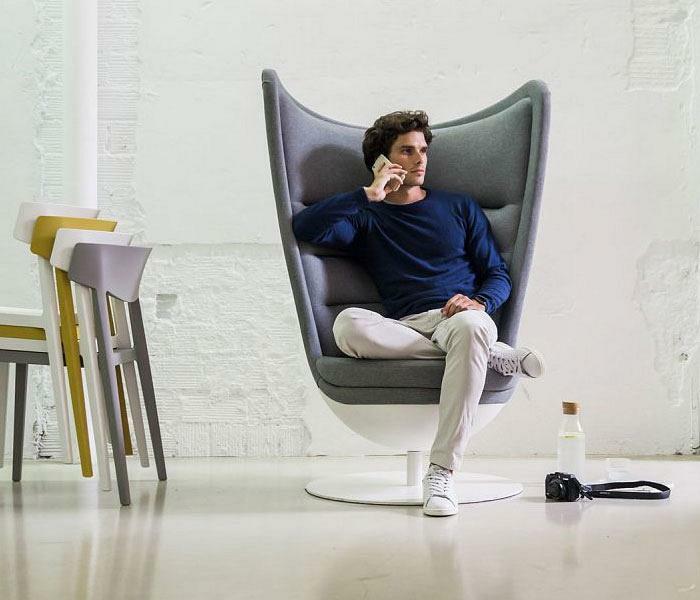 In this new form of spatial design, furniture is no longer considered a decorative element, but a tool to allow further collaboration, closer connections, further learning and higher concentration in the working environment. 5. By supporting European design through its quality, ergonomics and ensuring first-rate designers and offering a reasonable price. Actiu has always safeguarded the "democratisation" of design and made it accessible to the masses. With the objective of continuous renovation and doing so with the talent of Spanish designers, Actiu has always counted on the collaboration of design professionals. Many of which have grown and developed their professional careers in parallel to the company including Alegre Design, Ramos & Bassols or ITEMdesignworks. The products made at Actiu promote European design across the world and has been recognised by the most prestigious industrial design awards in Europe, such as Red Dot, Design Preis, FX, Premios Delta or If Design, amongst others. Badminton by Actiu, designed by ITEMdesignworks. 6. By promoting sustainability at all levels and a Technology Park that is a leader in environmental protection and use of clean energy. Actiu Technology Park is a European leader and was the first European industry to attain LEED® Gold, a certificate awarded by the US Green Building Council due to their commitment to the environment and use of renewable energy. An example of the company's own philosophy ("less is more") and how with few resources you can make things last for the entire life of a business. This also applies to their productive plants where investment in technology and professionalism derives from a continuous optimisation of productive processes. 7. For never stop innovating, advancing and making the most of better technologies, without forgetting craftsmanship and attention to detail. The permanent investment in latest technological advances, determined by a constant search aimed at improving the capacity to produce, oriented to the optimisation of productive processes with the aim of achieving higher growth, productivity, efficiency and a better international positioning. 8. For their social commitment to charity, cultural and sporting organisations in the Castalla area and for being a leader in the local community. An example of their collaboration is with the special employment company ILADE which gives work to people with disabilities and where Actiu supported by "donating" work, experience and knowledge, helping these people to socially integrate more effectively. Another example of social responsibility in various areas is their presence as a company committed to the United Nations Global Compact. 9. For recognising the capacity to transfer the passion, commitment and future vision of Vicente Berbegal not only to a new generation of the Berbegal family but to the whole Actiu family. Close to retiring from the first line of action, Vicent Berbegal knows how to delegate and pass on his experience, legacy and knowledge to his children, who will be the next generation in charge of the company. 10. Because it would be a culmination of Actiu's impressive professional path where it has always looked towards the future without forgetting its roots. All of this, days before a year in which Actiu will celebrate its 50 year anniversary. Once the candidates from each country with the most votes are established, they will then proceed to select the winner of the European Business of the Year. 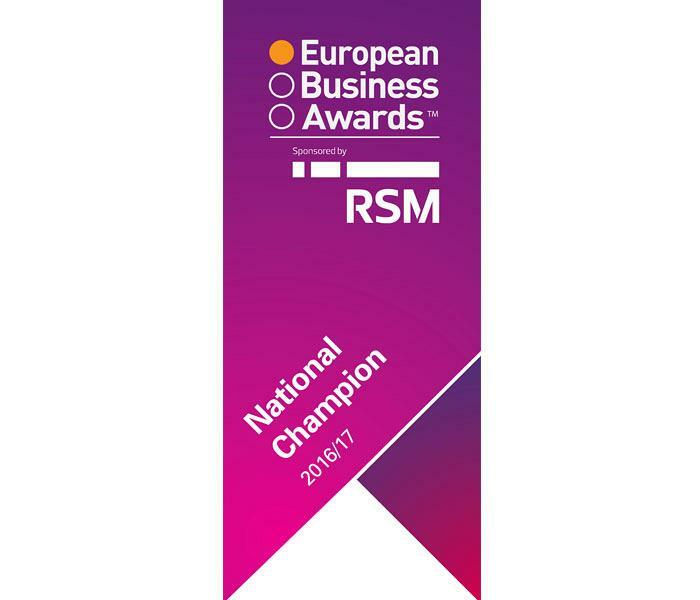 In Europe, the international organisation who awards and recognises the business’ success, commitment to innovation and their example in professional ethics, is the international consultancy RSM who organises the European Business Awards each year. They present international awards to businesses from all over Europe and have determined that Actiu is one of the final Spanish companies to compete for the European award. And also in particular, the participation of Vicente Berbegal as European Entrepreneur of the Year due to his commitment to efficiency, design, sustainable production and respect for the environment.